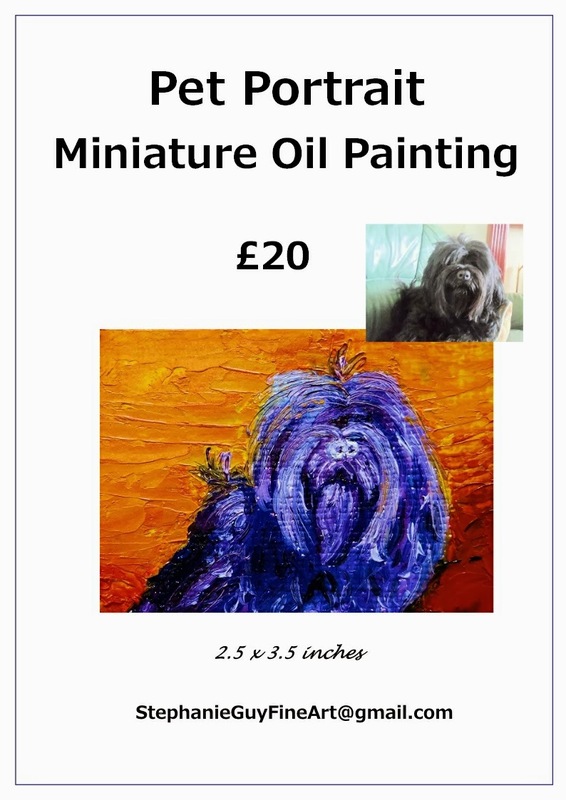 I've recently started offering miniature pet portraits measuring just 2.5 x 3.5 inches. 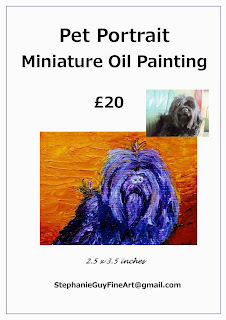 These mini paintings are classed as ACEOs - see my previous post here for an explanation of these highly collectible art cards. This size looks fabulous on a mini-easel, and is perfect for carrying around with you to show your friends and to connect you to your beloved pet all day, every day. 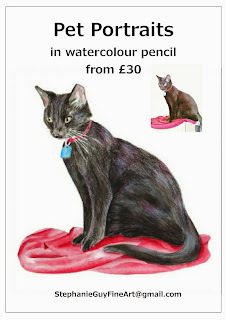 For pet portraits I always work from photographs, usually supplied by the pet owner. Sadly in many cases portraits are ordered by owners who have lost their pets and realised too late that they don't have a good photograph. You'd be amazed at some of the photos that I have been able to work with! 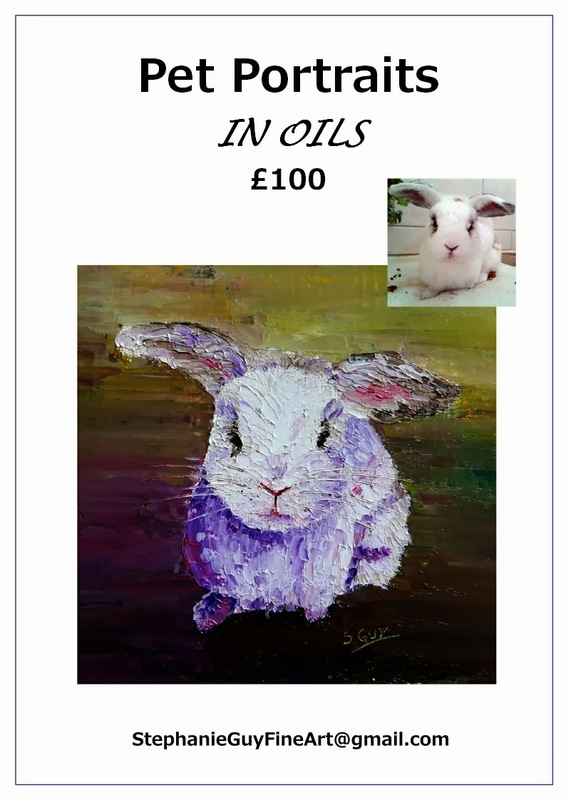 I've added missing legs; worked with blurred photos using the colours of the pet and a standard breed reference photo for the bone structure; digitally lightened photos to be able to make out specific areas that are otherwise too dark etc. 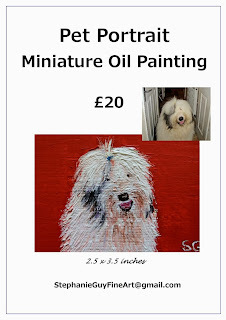 I love to get character information so that I feel a connection to the pet I am painting - whether they are cheeky, fun loving, lazy, quiet or shy, all adds to the final feel of the portrait. The worst thing about working in oils is the time it takes them to dry - it takes a whole 6 months before they are dry enough to varnish. 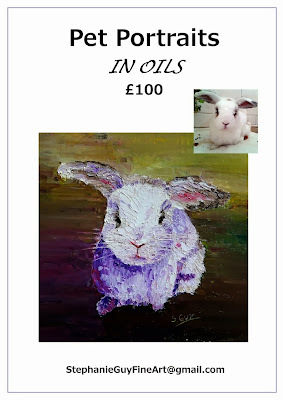 Luckily the varnish itself is quite quick to dry, it only takes a few days, and then the longed-for portraits can at last be posted. Delivery is also possible after 3 to 4 months with a temporary varnish which you will need to have professionally upgraded after 12 months. 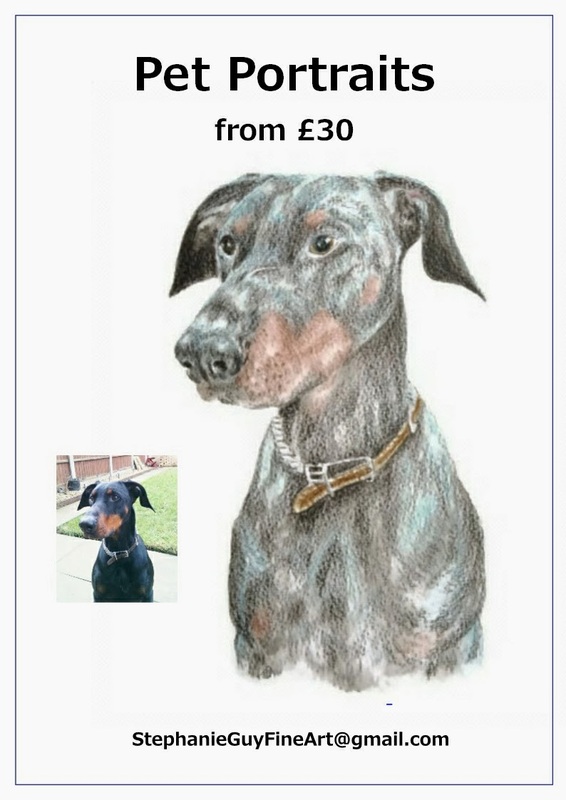 Or if you can't wait 7 months for your portrait, I also offer watercolour pencil portraits, from £30 upwards depending on the size and the number of pets. Watercolour pencil portraits are always presented in a mount (matt), and are completed within two weeks of payment and receipt of a suitable photograph.